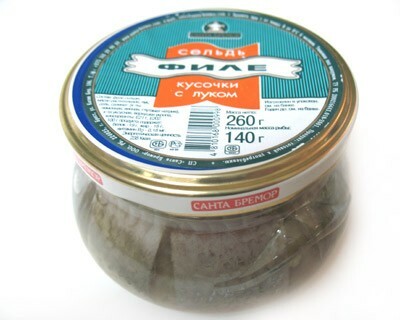 Mouthwatering herring fillets marinated in oil with onion are ready to eat. Top with a few slices of raw onion and serve right out of the jar. For an extra special occasion, pair with young boiled or mashed potatoes. Too soft, to sour ( because of vinegar?) for my taste. I wanted to compare this one with another herring in a glass jar. Will not buy this type again.